The noted research psychiatrist explores how life's disappointments and difficulties provide us with the lessons we need to become better, bigger, and more resilient human beings. Adversity is an irreducible fact of life. 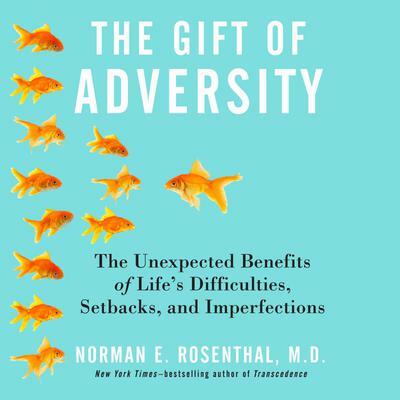 Although we can and should learn from all experiences, both positive and negative, bestselling author Dr. Norman E. Rosenthal, believes that adversity is by far the best teacher most of us will ever encounter. Whether the adversity one experiences is the result of poor decision-making, a desire to test one’s mettle, or plain bad luck, Rosenthal believes life’s most important lessons—from the value of family to the importance of occasionally cutting corners—can be best learned from it. Running counter to society’s current prevailing message that “excellence” must always be aspired to, and failure or mistakes of any sort are to be avoided at all costs, Rosenthal shows that engaging with our own failures and defeats is one of the only ways we are able to live authentic and meaningful lives, and that each different type of adversity carries its own challenges and has the potential to yield its own form of wisdom. Using stories from his own life—including his childhood in apartheid-era South Africa, his years after suffering a violent attack from a stranger, and his career as a psychiatrist—as well as case studies and discussions with well-known figures like Viktor Frankl and David Lynch, Rosenthal shows that true innovation, emotional resilience, wisdom, and dignity can only come from confronting and understanding the adversity we have experienced. Even when life is hardest, there are meanings to be found, riches to be harvested, and gifts that can last a lifetime. Rosenthal illustrates his message through a series of compact, memorable chapters, each one drawn from episodes in the lives of his patients, colleagues, or himself, and concluded with a take-away maxim on the lesson learned.